David Le/Salem News. 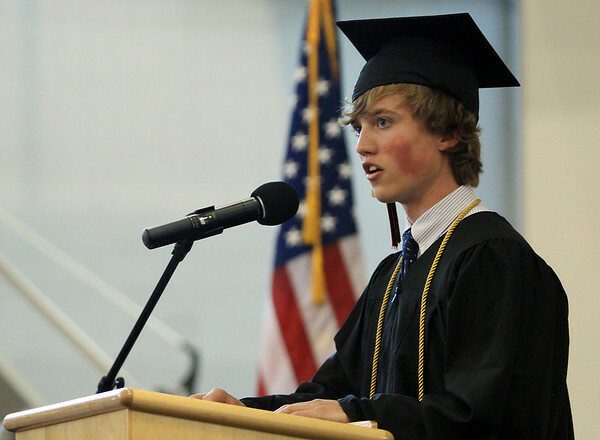 Marblehead High School senior valedictorian, Brian Drumm, delivers the Valedictory Address to his classmates on Sunday afternoon during Marblehead's graduation ceremonies. 6/5/11.